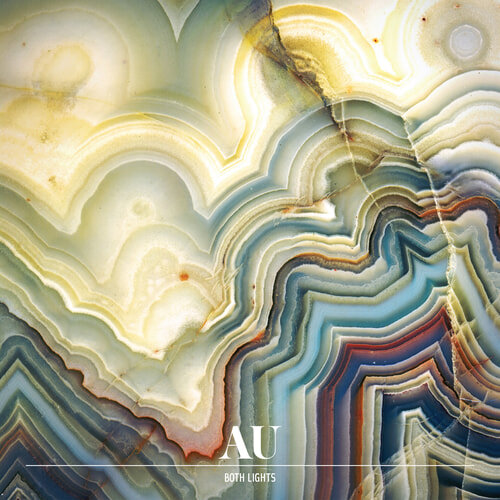 Both Lights, AU's long awaited third album and first for The Leaf Label, is the closest their recorded incarnation has yet reached to the blissful force of an AU live show, both expanding outward in new directions and tightly honing their compositional abilities. The vinyl of Both Lights is available on both limited edition 180g black (£11.49) and milky white (£11.99) vinyl and both are presented in a fabulous mirror-board sleeve with free download card included. All orders will receive free AU badges (while stocks last). The wav and mp3 digital versions of the album include a pdf digital booklet.